This page served to provide information about the Venus Transit to all interested parties ahead of the event on June 8, 2004, as well as about the background for the VT-2004 programme. It explained the various opportunities for active participation. NB! The text below has been left mostly unchanged and thus reflects the situation BEFORE the transit event. On June 8, 2004, Venus - the Earth's sister planet - will pass in Front of the Sun. This event - astronomers refer to it as a "transit", is extremely rare - the last one occurred in 1882 - 122 years ago. Easily observable in Europe, Asia, Africa and Australia, it is likely to attract the attention of millions of people on these continents and, indeed, all over the world. 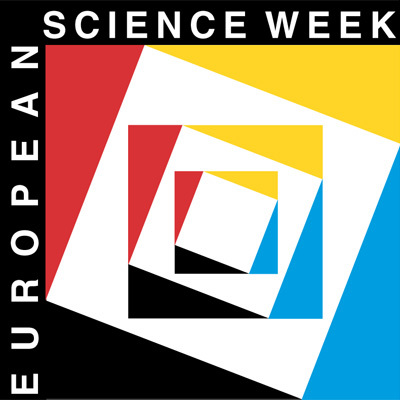 The European Southern Observatory (ESO) , in collaboration with the European Association for Astronomy Education (EAAE) , together with the Institut de Mécanique Céleste et de Calcul des Éphémérides (IMCCE) and the Observatoire de Paris in France, as well as the Astronomical Institute of the Academy of Sciences of the Czech Republic has therefore set-up the Venus Transit 2004 (VT-2004) project with support of the European Commission, in the framework of the European Science and Technology Week . The VT-2004 programme takes advantage of this extraordinary celestial event in order to expose the public - in a well-considered, interactive and exciting way - to a number of fundamental issues at the crucial interface between society and basic science. More details about this ambitious educational programme and its goals may be found in the VT-2004 Press Release (and the associated Appendix) that was issued at the time of the official launch of this website. We have prepared introductory pages with essential information about a number of topics of particular relevance, written in a simple but informative way. These Brief InfoSheets will be a good start, especially if you have little previous knowledge. The subjects have a very wide range, from the astronomical background of the Venus transit, the nature of Venus and the Sun, to historical accounts of how astronomers organised observations of transits in earlier centuries, related mythology, as well as exoplanets and the astronomical distance scale. If you want to probe deeper into these issues, then look at the Extended InfoSheets that provides much more detailed information. You may also reach them via the links placed at the end of each of the "Brief InfoSheets". Additional information about many of these issues is also available on other websites - look at the page with a collection of annotated links . Note also the webpage with Frequently Asked Questions . If you have questions in connection with the VT-2004 programme - whether of scientific, technical or organisational nature - you may contact the organisers via email at vt-2004@eso.org. We have prepared three specific "entry" pages for Students and Teachers, Amateur Astronomers and the Media. And here is a direct link to the Mercury Transit on May 7, 2003 , which was a kind of "general rehearsal" of the Venus Transit. This website contains a large number of images with explanations, etc. and may serve as a very useful introduction to what can be expected at the time of the Venus Transit. Note however, that the dark disk of Venus, as seen in front of the Sun, will be about 5 times larger than that of Mercury! The VT-2004 programme is establishing wide international networks of individuals (including school teachers and their students, amateur astronomers, interested laypeople, etc.) and educational institutions (astronomical observatories, planetariums, science centres, etc. ), encouraging real-time measurements of one of the most fundamental astronomical parameters, the distance from the Earth to the Sun. Institutional members of the VT-2004 network are listed here, according to countries or geographical regions. In most European countries, there are also "National VT-2004 Nodes" , i.e. organisations that collaborate closely with the VT-2004 programme to stimulate and support activities around the Venus Transit in their region. You may go directly to their webpages via the clickable map or by the list of VT-2004 Network members. Most of them will carry information about the Venus Transit in your own language . On the day of the Venus Transit, Tuesday, June 8, 2004, it will possible to follow on the the web live observations of the event, as recorded with large professional and smaller amateur telescopes . A selection will be available via the central VT-2004 display page . However, many other interested individuals and groups will do their own observations and thereby have the opportunity to participate actively in the VT-2004 Observing Campaign . How this is possible is explained on a special webpage that contains details about registration with the VT-2004 observers' network , suggestions for how to do the observations and also how the resulting observations will be collected and used . Please remember to read the Safety Instructions! We strongly urge you to consider taking part in this unique, modern re-enactment of a famous historical observation which was used by observers in the 17th, 18th and 19th centuries to measure the distance between the Earth and the Sun. With a large network of active observers, it will become possible to provide a running estimate of the resulting value of this distance on this page , illustrating this most fundamental step towards the cosmological distance scale and the determination of the size of the Universe. In addition, a VT-2004 video contest is being organised with interesting prizes. Everybody with a video camera who is interested in the transit is invited to produce a short film (not exceeding 8 min) that documents an aspect related to this very unique event. The organisers of the VT-2004 programme would like this unique event to be discussed and, wherever possible, to be observed by students and teachers in primary and secondary schools. For this reason, special attention has been given to the preparation of a series of Educational Materials with the related information and suggestions, ready to be used at different levels. A Teachers Guide is also available which will be particularly useful for educators with little time to spare for these issues. In any case, students and their teachers are of course most welcome to join the VT-2004 observers' network and participate in the VT-2004 observations and submit their results, as described of the corresponding webpages. Remember to read the Safety Instructions! Much additional information that will also be useful for the schools is available within the above mentioned Information Sheets. A webbased VT-2004 Forum has been set up to which all interested parties are invited to contribute. The Forum is monitored, but not moderated.